League Two side Plymouth have signed Chesterfield full-back Drew Talbot on loan until the end of the season. The 28-year-old, a striker at Sheffield Wednesday and Luton Town, played under current Argyle boss John Sheridan during his tenure at Chesterfield. But he has struggled to win a regular place under Paul Cook, making just one substitute appearance this season. 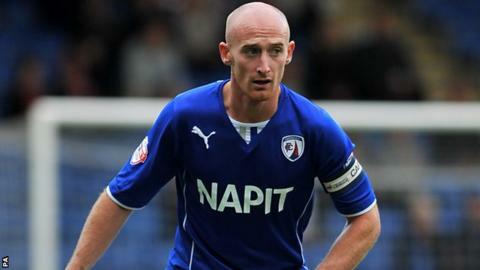 Talbot has scored 15 goals in 231 appearances since joining the Spireites from Luton, initially on loan, in 2009.